Academic Search Premier contains indexing and abstracts for more than 8,500 journals, with full text for more than 4,600 of those titles. PDF backfiles to 1975 or further are available for well over one hundred journals, and searchable cited references are provided for more than 1,000 titles. MasterFILE Elite, designed specifically for public libraries, provides full text for more than 1,950 general periodicals covering a broad range of disciplines including general reference, business, education, health, general science, multi-cultural issues and much more. In addition to the full text, this database provides indexing and abstracts for more than 2,600 titles. This database features: 5,000 full text Magill Book Reviews, 320 reference and travel books including the World Almanac & Book of Facts 2001; full text from 91,600 biographies, 75,000 full text primary source documents, American Heritage Dictionary, 4th Edition and an Image Collection of 107,135 photos, maps and flags. MasterFILE Elite offers PDF backfiles as far back as 1975 for key publications including American Libraries, Foreign Affairs, History Today, Judaism, Library Journal, National Review and Natural History. MAS Online is a comprehensive full text general reference database designed for high school and junior college libraries. This database includes: searchable full text of articles, reports and special issues from nearly 200 of the most wanted K-12 magazines; searchable full text for The Christian Science Monitor, winner of the 1996 Pulitzer Prize for International Reporting; over 3,000 charts, tables and graphs converted to ASCII text to provide students with a complete understanding of the original printed articles; Essential Documents of American Historya database of over 1,000 original historical documents including The Bill of Rights, The Constitution, The Federalist Papers and the speeches of Dr. Martin Luther King Jr.; coverage of the CIA World Factbook; coverage of the Department of Education’s College Guide; searchable full text for 400 pamphlets; searchable full text for nearly 5,000 Magill’s Book Reviews. Sponsored by the Association of Library Service to Children, a division of the American Library Association. Provides detailed, current directory information on more than 12 million U.S. Businesses, 102 million U.S. residents, 683,000 U.S. healthcare providers, 1 million Canadian businesses and 11 million Canadian residents. Points of View Reference Center is a full-text database designed to provide students with a series of essays that present multiple sides of a current issue. The database provides 200 topics, each with an overview (objective background/description), point (argument) and counterpoint (opposing argument). Topics covered include: affirmative action, cloning, DNA profiling, HIV/AIDS status disclosure, immigration, Iraq, Israel & the Palestinians, Katrina and FEMA response, nuclear proliferation, separation of church and state, standardized testing, stem cell research, tax cuts, voting machines, and many more. Points of View Reference Center contains a balance of materials from all viewpoints, including 600 main essays, leading political magazines from both sides of the aisle, newspapers, radio & TV news transcripts, primary source documents and reference books. The database also offers guides to debate, developing arguments and writing position papers. Points of View Reference Center provides the basis from which students can realize and develop persuasive arguments and essays, better understand controversial issues and develop analytical thinking skills. ERIC, the Educational Resource Information Center, provides access to education literature and resources. The database provides access to information from journals included in the Current Index of Journals in Education and Resources in Education Index. The database contains more than 1,194,000 records and links to more than 100,000 full-text documents from ERIC. Teacher Reference Center provides indexing and abstracts for hundreds of periodicals. In addition, 96% of journals indexed in TRC are peer-reviewed. Topics include: Assessment, Best Practices, Continuing Education, Current Pedagogical Research, Curriculum Development, Elementary Education, Higher Education, Instructional Media, Language Arts, Literacy Standards, School Administration, Science & Mathematics, and Teacher Education. Medline Plus is the National Institutes of Health’s website for patients and their families and friends. Produced by the National Library of Medicine, it brings you information about diseases, conditions, and wellness issues in language you can understand. Medline Plus offers reliable, up-to-date health information, anytime, anywhere, for free. Literary Reference Center is a comprehensive database that provides users with a broad spectrum of information on thousands of authors and their works across literary disciplines and timeframes. It has been specifically designed for public libraries, secondary schools, junior/community colleges, and undergraduate research. Literary Reference Center is a full text database that combines information from major respected reference works, books, literary journals as well as original content from EBSCO Publishing. Literary Reference Center contains full text for 26,000 plot summaries, synopses and work overviews, nearly 100,000 articles/essays of literary criticism, 140,500 author biographies (including 14,300 in-depth bios), 350 literary journals, 530,000 book reviews, 50,000 classic and contemporary poems, 13,500 classic and contemporary short stories, 4,000 author interviews, 7,500 classic texts and much more. In addition, Literary Reference Center also includes Merriam Webster’s Encyclopedia of Literature, Continuum Encyclopedia of American Literature, Continuum Encyclopedia of British Literature, Continuum Encyclopedia of Children’s Literature, The New Princeton Encyclopedia of Poetry and Poetics, Beacham’s Research Guide to Biography and Criticism (six volumes), The Oxford Illustrated History of English Literature, The Literary Encyclopedia, The Columbia Companion to the 20th Century American Short Story, all of MagillOnLiterature Plus, and much more. Newspaper Source provides cover-to-cover full text for 28 national (U.S.) & international newspapers, including The Christian Science Monitor, USA Today, The Washington Post, The Washington Times, The Times (London), Toronto Star, etc. The database also contains selected full text for more than 260 regional (U.S.) newspapers, including The Boston Globe, Chicago Tribune, Detroit Free Press, The Miami Herald, Daily News (New York), San Jose Mercury News, etc. In addition, full text television & radio news transcripts are provided from ABC, CBS News, CNN, CNN International, FOX News, NPR, etc. Besides locating books to read, users can learn more about books and authors through Author Read-alikes, Feature Articles, Book Discussion Guides, and BookTalks. These features have been developed specifically with NoveList users in mind, offering support for librarians, teachers, and individual readers. The For Staff Only sections provide additional support for readers’ advisory and school curricula. Hypertext links from title records allow the user to go directly to articles or guides that mention the title, as well as to the lists in Explore Fiction or Best Fiction where the titles appear. NoveList contains materials for all ages including picture books, children’s “chapter” books, young adult titles and books for adult readers. Updated monthly, the NoveList database integrates information from a variety of sources. The Hennepin County Library is the main source of the enhanced subject access contained in the NoveList database. NoveList contains full-text reviews for adult, young adult, children’s and easy fiction titles from several journals, including: Booklist, School Library Journal, Library Journal and Publishers Weekly. In addition to these reviews, there are annotations and summaries, and all of them are searchable! NoveList adds about 10,000 new fiction records to the database per year, along with reviews and descriptions when they are available. The theme-oriented book lists in Explore Fiction are periodically revised, and the awards lists in Best Fiction are updated along with the full database each month. 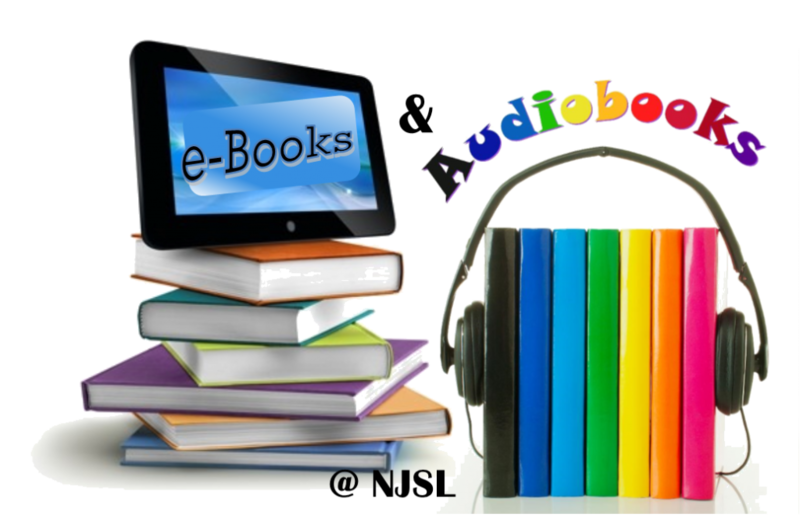 New Author Read-alikes, Feature Articles, Book Discussion Guides, and BookTalks are also added monthly.